Defining what makes an album a classic album is a challenging and contentious task for music lovers. 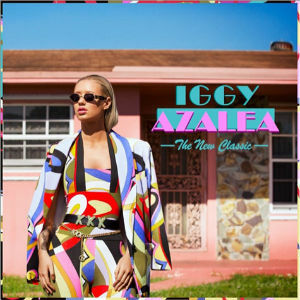 Australian rapper Iggy Azalea released her debut album, “The New Classic” on April 22, in hopes that critics and fans alike would concur with the record’s title promises. “The New Classic” is ambitious, incorporating elements into her music never before seen by her followers. Azalea’s “Work” and other singles often provide a pop hook alongside the rapping and hip-hop beats, which makes her more marketable to wider groups of fans. However, she also attempts various genres from an acoustic song to a dance anthem. EDM jam “Bounce” is sure to receive some love from dancehall fans. Expect several remixes by countless DJs in the near future. Still, it is commendable that Azalea is trying something completely new, even if it is this attempt at a “Yeezus” impression. Hearing Azalea’s southern-sounding drawl delivery will make the listener forget the fact that she was born and raised in Australia. Azalea has been noticeably influenced by her former Grand Hustle music label boss/mentor TI’s Atlanta-based accent and flow. By the end of the album, the subject material is overdone, because not only does Azalea not share any specifics from her personal struggle she talks about, but she does not offer up the same level of uniqueness as her “Ignorant Art” mixtape, lyrically. “Fancy” has taken off with her “Clueless”-themed video and multiple television performances from the “MTV Woodie Awards” to “Good Morning America,” and has climbed the iTunes charts. However, do not be fooled by her rising fame. Azalea showed she’s still the down-to-earth girl we see in “Work,” when she featured a fan lyric video where fans submitted pictures of themselves holding up signs containing the “Fancy” lyrics. Azalea incites help from her friends around the industry, co-writing “Black Widow” with pop queen Katy Perry and reaching out to British singer Rita Ora for the chorus. In addition, Azalea called upon London-based production crew The Invisible Men to produce trap beats. Overall, “The New Classic” is a bold and creative debut album that is plagued by overproduction and polishing, shadowing the personality Azalea presented in her previous works. Azalea struggles in taking classic rap themes and making them her own, opting instead to rehash played-out posturing that is a dime-a-dozen in today’s hip-hop. Through cross-genre experiments and shining artist collaborations, Azalea fails to produce a new classic album, but establishes herself as an artist to be reckoned with.